Born in Brazil, Marcelo Kayath began studying the guitar at age 13 with Leo Soares and continued with Jodacil Damaceno and Turibio Santos. When he was only 16 he won the “Segovia Prize” at the International Villa-Lobos Competition and two years later became the first guitarist to win the coveted “Young Concert Artists of Brazil Award”. 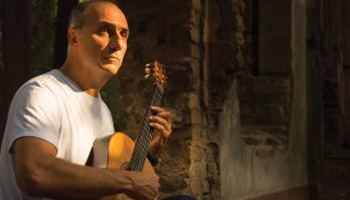 In 1984 he won first prize in the two biggest guitar competitions in the same year: the 4th Toronto International Guitar Competition and the XXVI Paris Councours International de Guitare. In the following year, he embarked on tours (both solo and with orchestra) of Europe and the USA to unanimous critical acclaim. He recorded many CDs for several labels, including Hyperion, MCA Classics and Pickwick. Marcelo Kayath also holds degrees in Electronics Engineering from the Federal University of Rio de Janeiro and an MBA from Stanford Business School. After his early retirement from the concert stage in the early 1990s, this recording is his first CD in 25 years.